Egg-zackly same outfit as this post from last week but with different top. 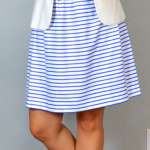 Such a classic, basic, but still super cute and stylish work outfit. My kinda outfits! Love the polka dot. 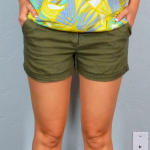 This outfit would also be really cute with some fun shoes, like a stripe, metallic, or pop of color. So polished! I love this outfit. You have a great wardrobe.